Such a clever design Betty!! Great stamps combo!! very clever design, betty… fabulous card! Sweet card!! Great for a guy! I think it's a fabulous 'Guy Card', Betty! 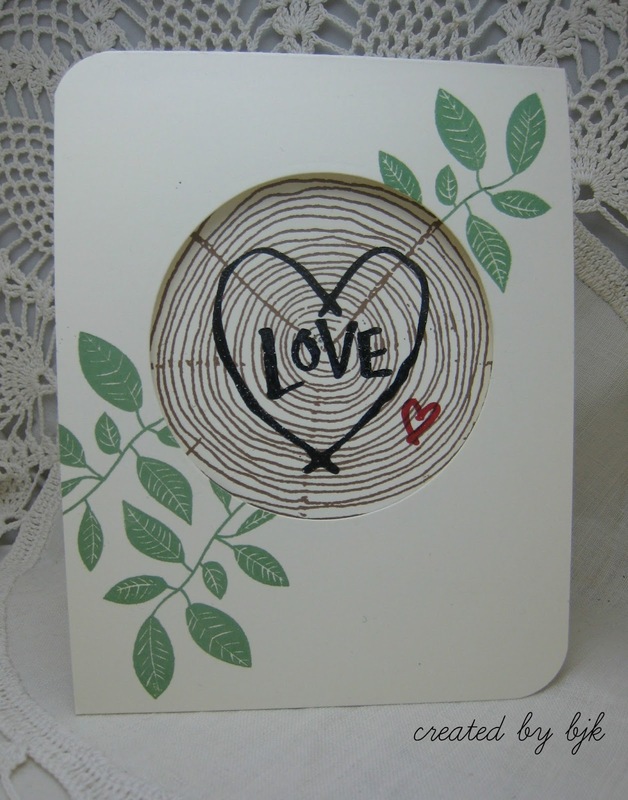 I love how you stamped the sentiment over the tree ring, and the leaves are the perfect touch! Great job with your collaboration! Sure this will make a great "Guy card" with a bit of red! Love the combo of the Tree ring and the Tree Hugs stamp set.